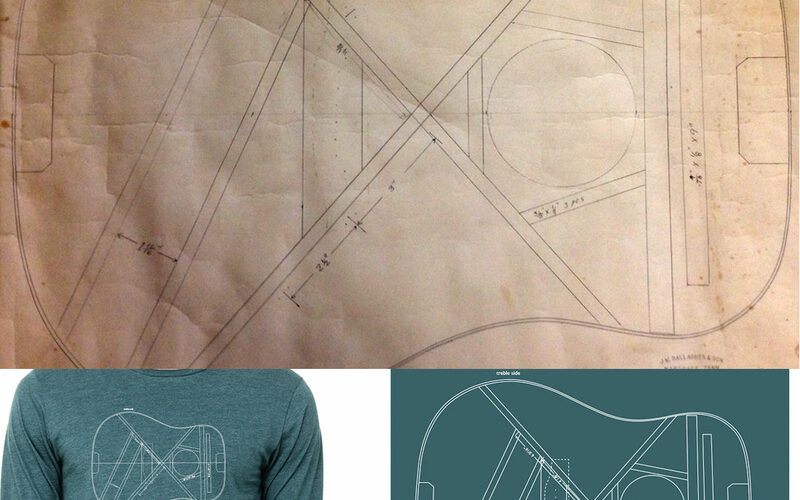 One of J.W.’s original guitar blueprints, hand-drawn by him in 1970, is now on a shirt, and YOU can wear it! Long sleeve tee. $35 (+$4.50 shipping). The pre-order period for these shirts is over, but we have extras in very limited quantities. (XS, S, and M, as of Feb. 27, 2017.) Order one here!